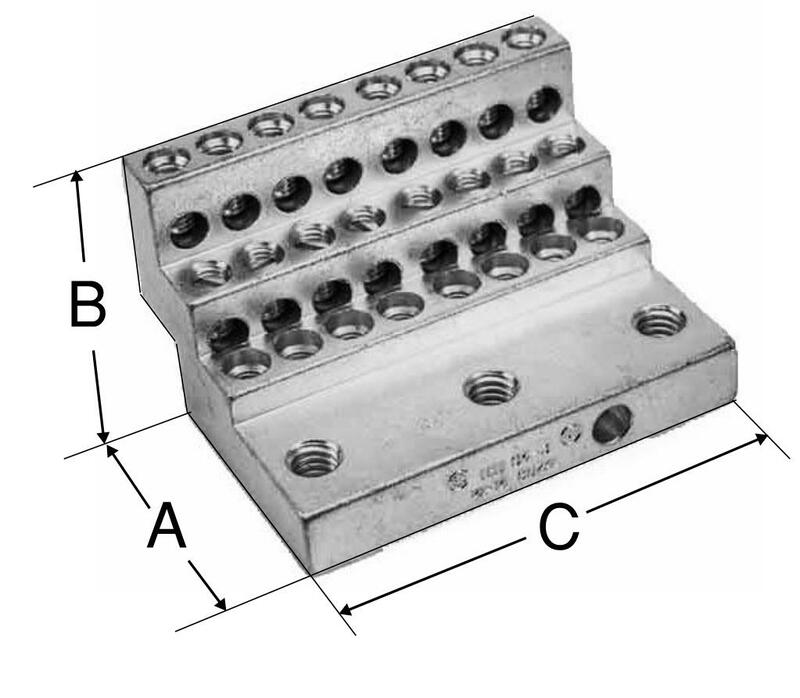 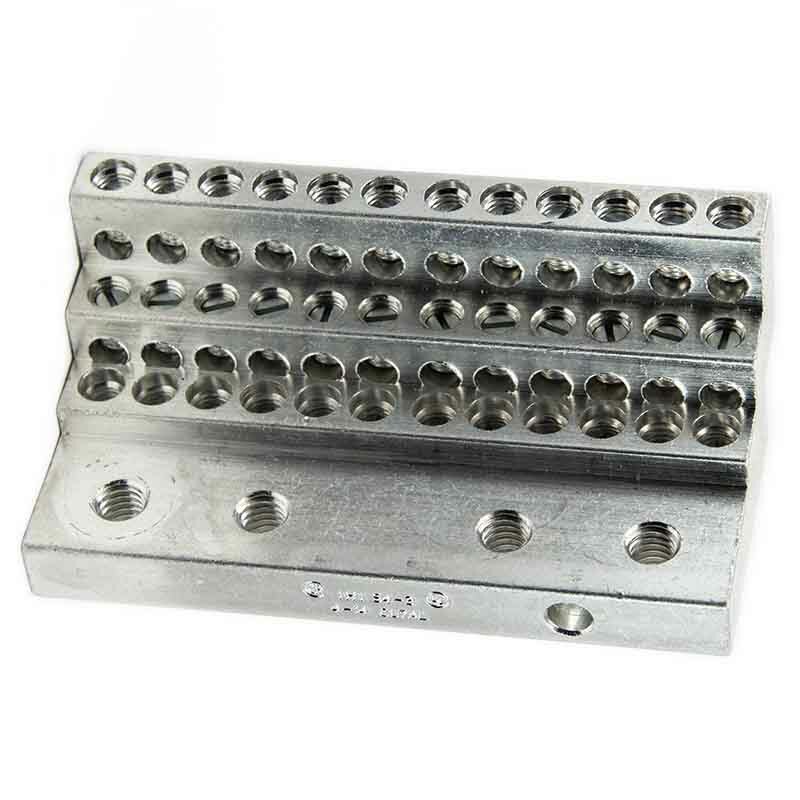 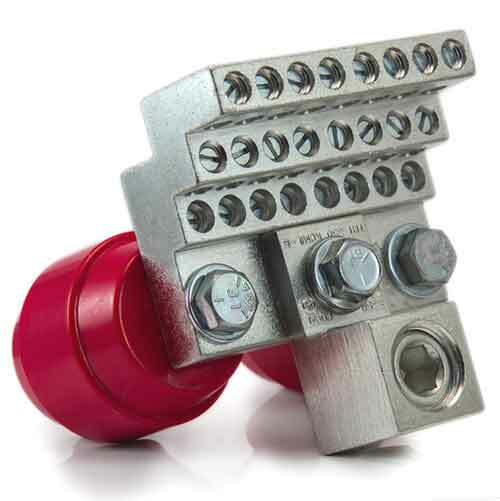 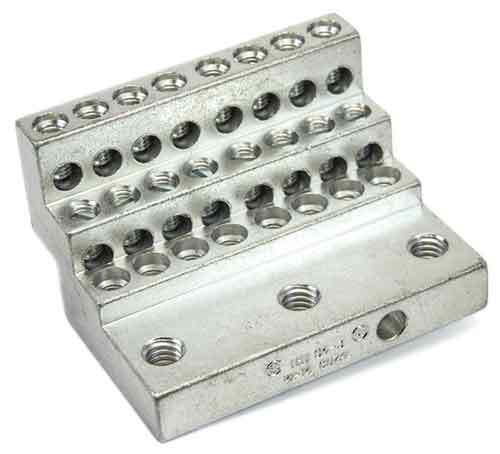 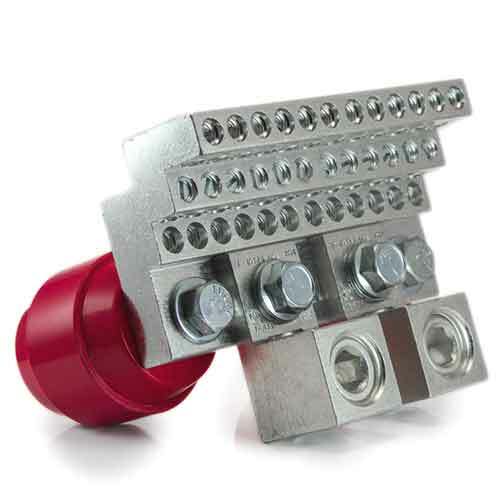 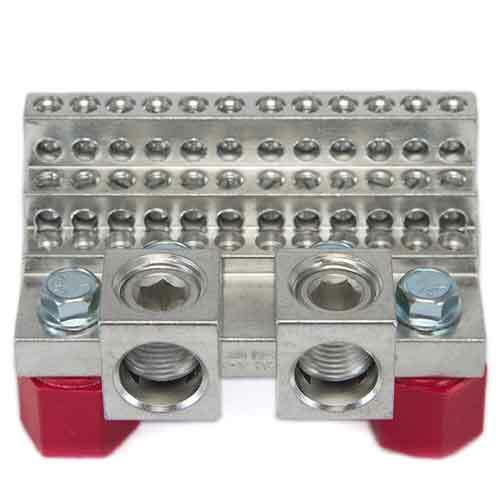 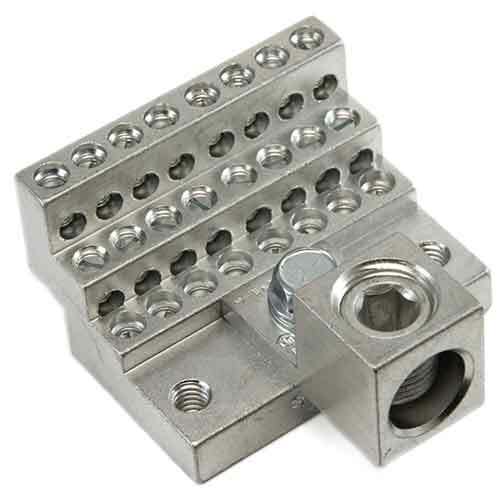 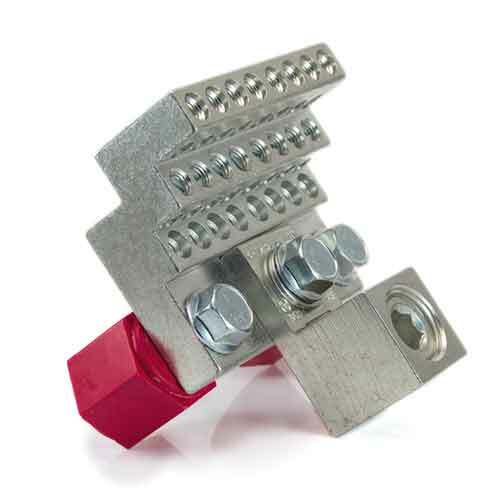 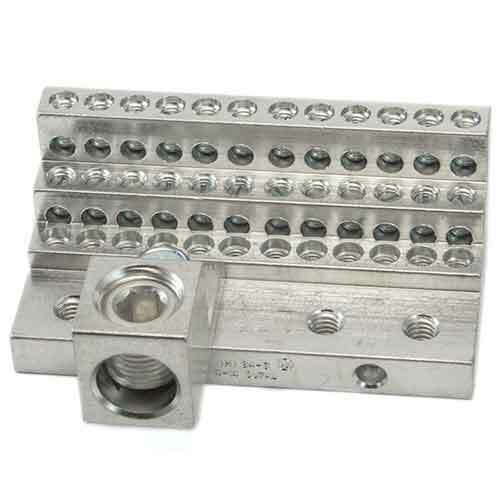 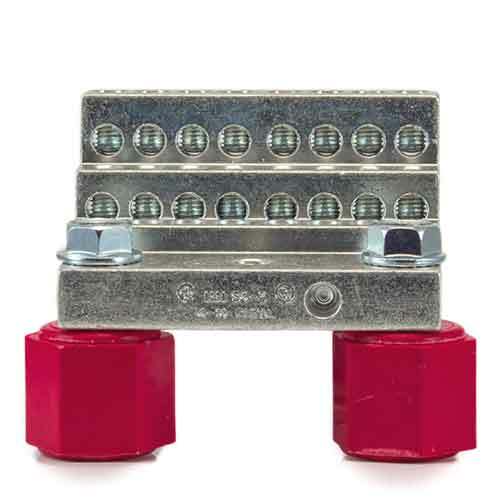 4 AWG Multi wire lug, Multi-wire hole, Lug Body Only (24) twenty four 4-14 wire holes lug for power distribution, power collection, structure grounding, floating ground or neutral bar applications. 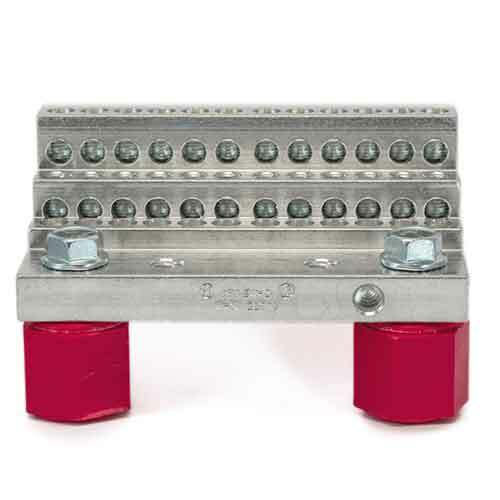 Stacker type, two tier lug. 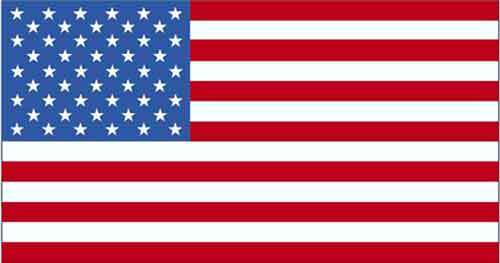 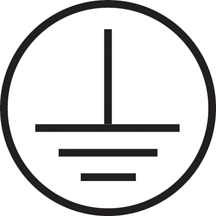 UL Listed at 600v - acceptable for use through 2000vUL486 ZMVV Listed, UL508A SA1.1 Listed category, and CSA Certified. 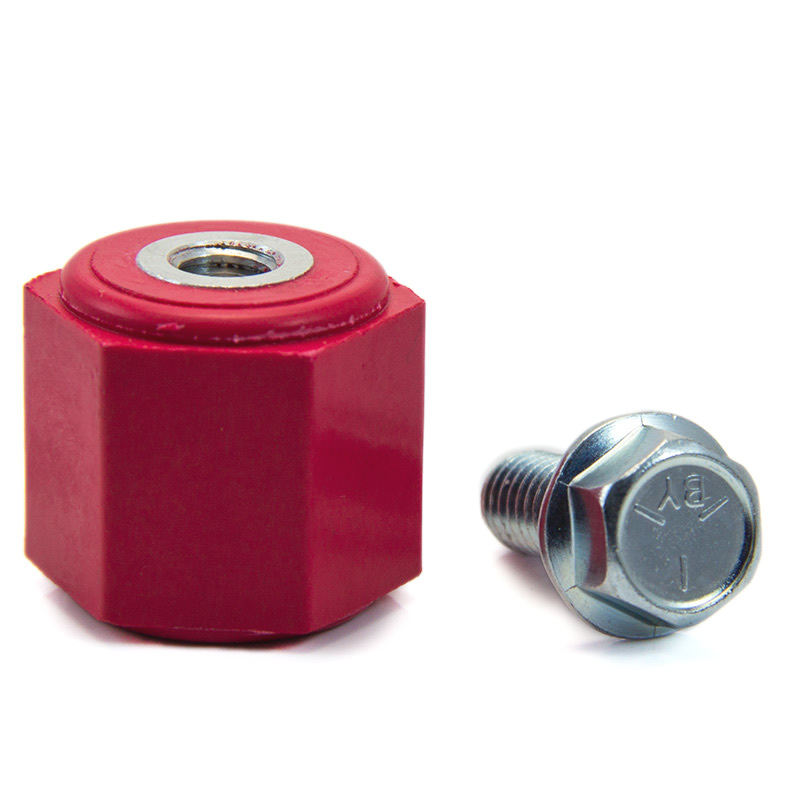 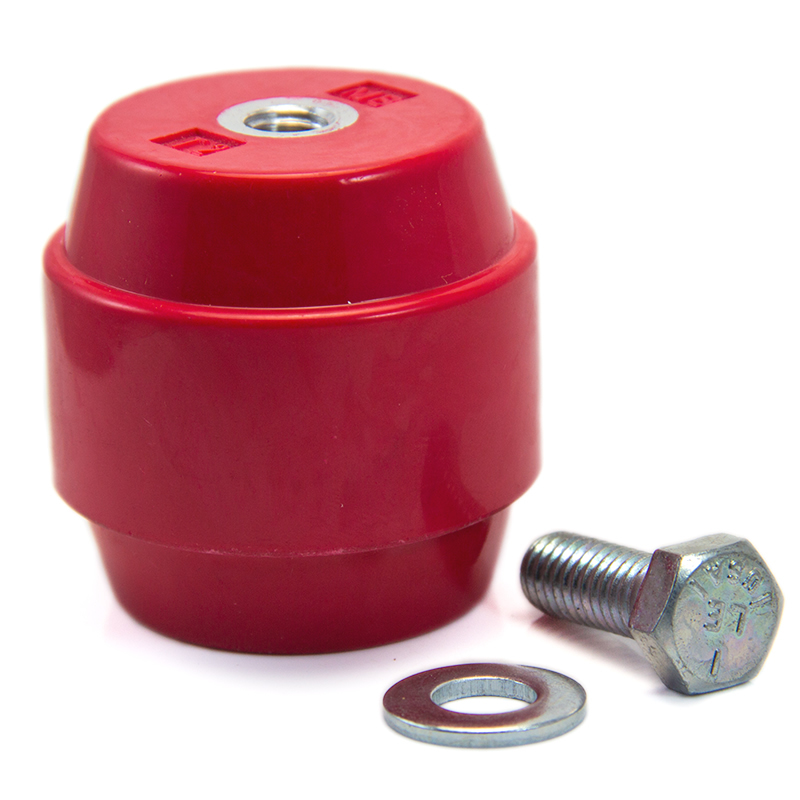 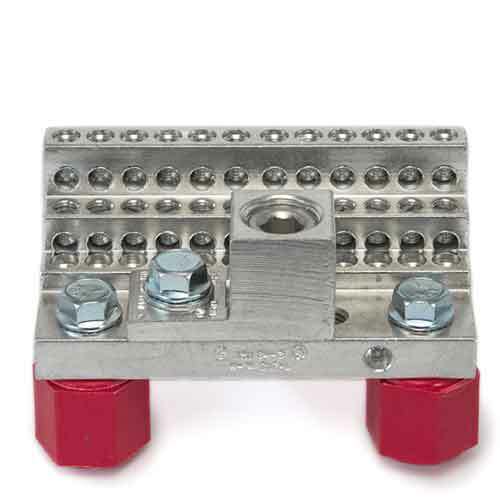 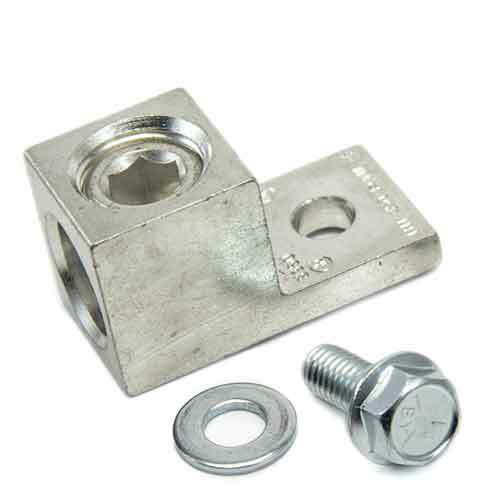 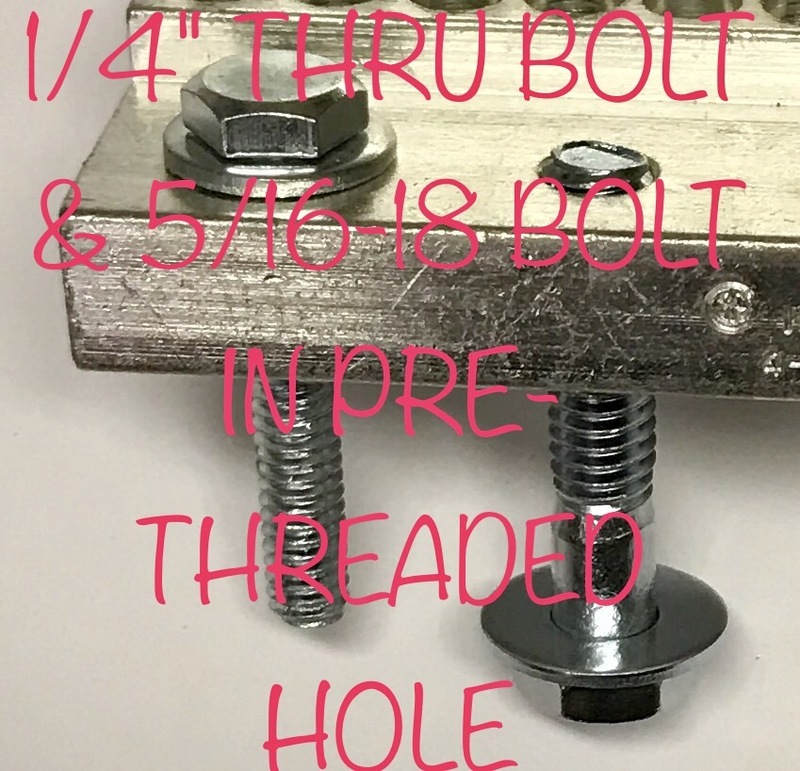 (2) two mounting bolt holes with clearance for ¼” bolts and threaded for 5/16 UNC bolts. 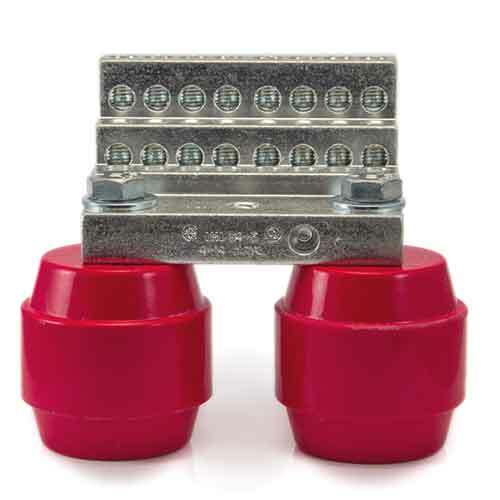 May be bus mounted, bare panel case, or bare chassis mounted or insulated using optional UL508A List SA1.1 category QEUY2 Recognized standoffs for power voltages up to 2000V and floating ground applications when used in accordance with UL508A and NEC code requirements. 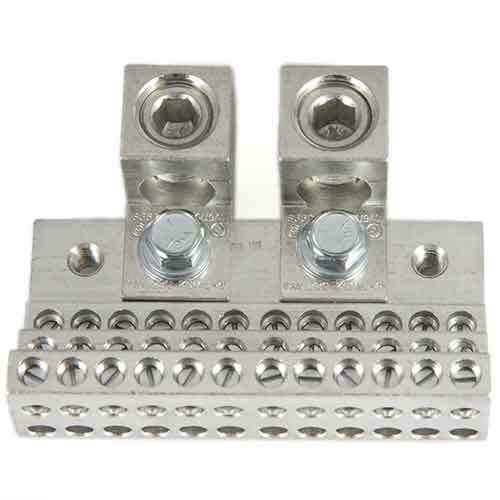 Copper and tin plated aluminum high strength alloy. 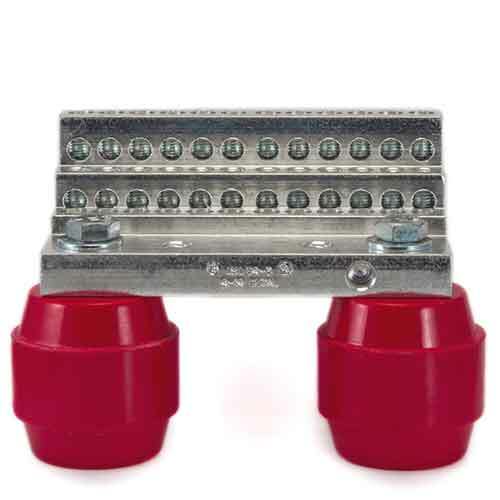 Zinc plated steel slotted screws. 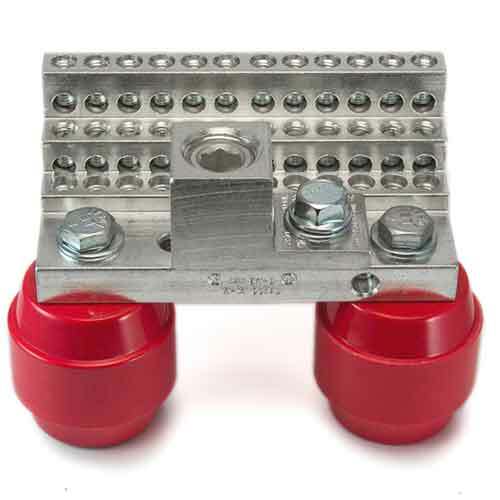 International Hydraulics Inc. brand.